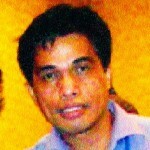 Businessman advocate Primitivo â€œMang Tibongâ€ delos Reyes recently died of stroke, which saddened the disability sector. 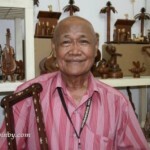 The man behind â€œDelos Reyes Homecraft International, Incorporated, a â€œPanday Piraâ€ awardee and topnotch exporter of signature wooden carved miniature musical instruments, he ventured into politics, while consistently distinguishing himself in the business world. Through all his achievements, he remained humble and a tireless groomer of â€œwould-beâ€ PWD entrepreneurs. Johnny Lantion succumbed to liver cancer and died at the age of 45, survived by a wife and 2 sons. To his last day he was very low-key yet a well respected man from Pingat, Mountain Province, where he was buried this Jan. 3, 2010. He was the champion of the â€œNational Federation of Cooperatives of Persons with Disabilitiesâ€, whose continuous desk production for the Department of Education, is among the countryâ€™s long running best practices here and abroad. His stint with his family in Paraguay before his demise, was his last singular statement, to share his cooperativeâ€™s success story with his Paraguayan counterparts. His last text message thanked NCDA Chairperson for helping him get his Paraguay visa and fondly recalled that DFA Secretary Alberto Romulo himself, then a Senator, bought their coopâ€™s first batch of desks which DepEd at the time could not accommodate. The desks were donated by Senator Romulo to a school in Bahay Toro, and thus, Johnnyâ€™s budding coop venture was launched, and the rest is history. The disability community and NCDA salute these two great men.